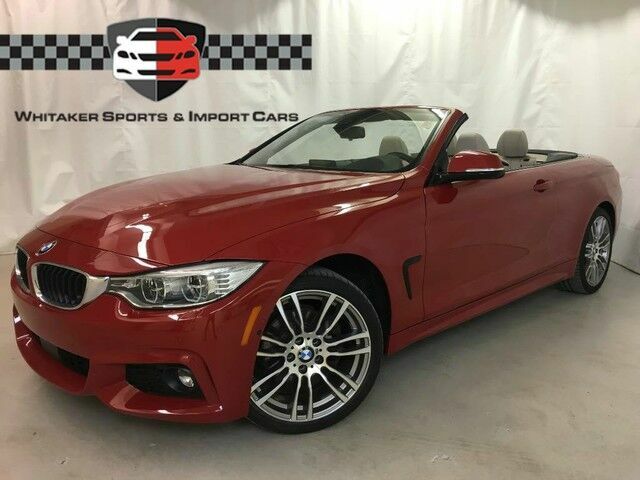 Fully equipped 4 Series convertible! This one has it all! Over $20,000 in options! Brand new tires! **Adaptive Cruise** **Dynamic Handling Package** **LED Ligting** **Blind Spot Monitor** **Head Up Display** **Side and Top View Camera** **Heated Steering Wheel** **Neck Warmer** **Navigation** **Harman/Karden Audio** **Key-less Entry/Key-less Drive** One owner, clean CarFax, and CarFax documented service history. Factory options include MSport Package, Adaptive Cruise, Driver Assistance, Driver Assistance Plus, Lighting Package, Technology Package, Premium Package, Cold Weather Package, Dynamic Handling Package, and Harman/Kardon Audio. Multi-point safety and mechanical inspection. Stop by today to browse our entire inventory from the comfort of our INDOOR showroom. Low rate finance options available! We welcome trade-ins! The Whitaker family has been serving customers for over 60 years in the Twin Cities market. We have built our business one customer at a time, with a strong commitment to superior ethical standards and putting our customers first. Our primary focus is on offering only the finest late model vehicles at affordable prices.